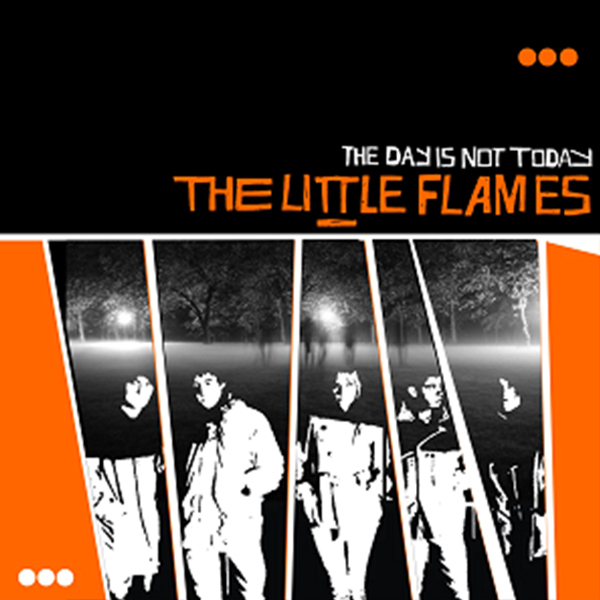 The Little Flames were formed in Liverpool by singer Eva Petersen and songwriter / guitarist Mat Gregory. They were later joined by drummer Greg Mighall, bassist Joe Edwards and guitarist Miles Kane. Signed to legendary indie label Deltasonic, the band toured extensively during their first years, releasing edgy and anarchic singles ‘Goodbye Little Rose’ and ‘Put your Dukes Up, John’. Their sound continued to evolve as they absorbed and reformulated an array of influences, ranging from Krautrock, Motown and 60’s garage, to film music and symphonic pop of artists like Serge Gainsbourg and Framcoise Hardy. In the Session leading up to the recording of their debut album, working with producer Central Nervous System (aka Joe Fearon), the band’s early spiky sound gave way to something altogether darker and more expansive. The album, The Day is Not Today, was partly produced by Joe Fearon and engineered by Scott Carney (Tracks 2, 6, 7, 8 10) and tracks (1, 3, 4, 8, 9, 11) were recorded with producer Tore Johansson, using Sweden’s famous Tambourine studios and Gula Studion in Malmo. It showcased the evolution of the band’s music, where the energy and impatience of their earlier twisted guitar pop was not only fully honed (Seven Days, If Tomorrow Never Comes), But Juxtaposed with a sound that was both ethereal and cinematic (October Skies, The Girl of Last Year). The album was mixed, mastered and ready to go in 2007, but before it could be released The Little Flames decided to split up. Miles, Joe and Greg formed The Rascals, with Miles Kane then going on to for The Last Shadow Puppets with Alex Tuner and recording solo material. Mat and Eva have continued to work separately on various music and art projects. The Little Flames’ second single, ‘Put Your Dukes Up, John’ was covered by The Arctic Monkeys after the two bands toured together on the Sheffield band’s first two album tours.